The latest episode of Decorating Tips And Tricks is about CREATING A BEAUTIFUL GUEST ROOM. Tons of doable ideas in this podcast! And you can listen to all 42 episodes HERE. It’s been awhile since I hosted a Sunday Night Dinner for the family. After my second ankle surgery (UGH and YUCK) I am still in a wheelchair but getting strong enough to start working in the kitchen. On a side note, the stitches come out of my ankle (for the second time) this week and I’ll begin physical therapy! Oh, I’ll be dancing around in no time! I’ve made Chicken Eugene for decades. 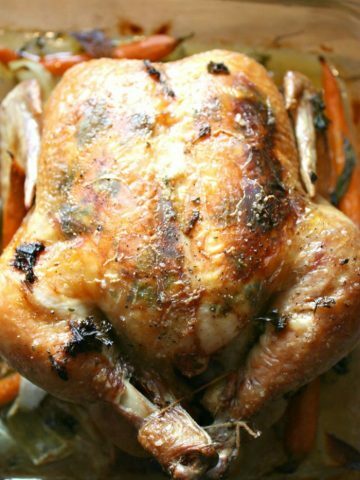 It is very very company worthy and so easy to make for a weeknight meal. It has ham and chicken and a scrumptious sauce! It makes me hungry just thinking about it! Oh yum! Doesn’t this image from ifoodreal look absolutely scrumptious? I love this site for Olean’s clean eating philosophy! Her recipes are scrumptious and she is so informative! Please check her site out! Oh my goodness! And I mean, goodness! 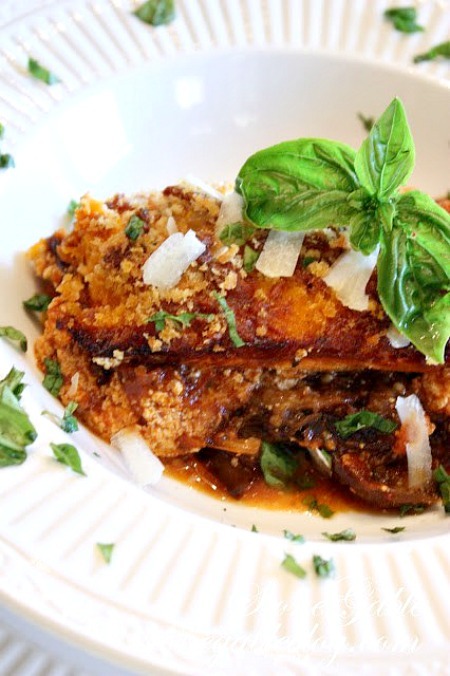 If you try one thing this week, try the Roasted Eggplant Parmesan Casserole. 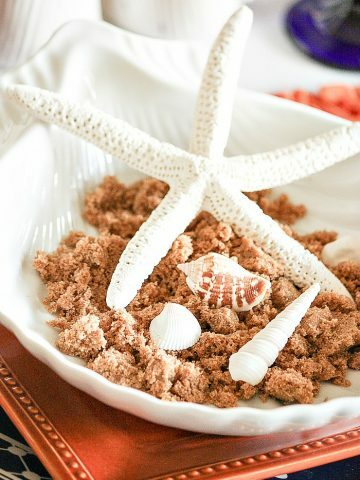 It is just scrumptious and pretty easy to make too! It is definitely company worthy! And no frying eggplant! I posted this recipe years ago. 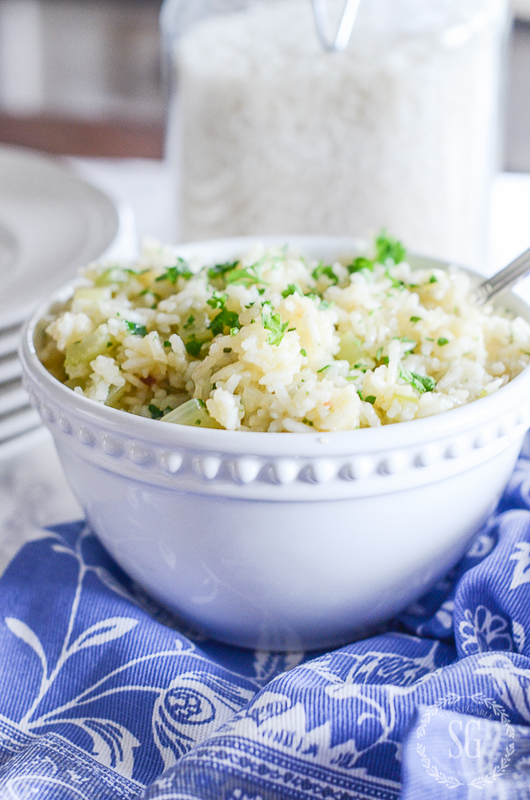 The recipe is amazing… and I was learning how to photograph food! It’s a very steep learning curve. The photo below was an eary attempt. We love to grill! And this flank steak recipe is so so easy!!!! We also love a great wedge salad. I can make a single serve wedge salad ahead and everyone loves getting one of their own in a jar! 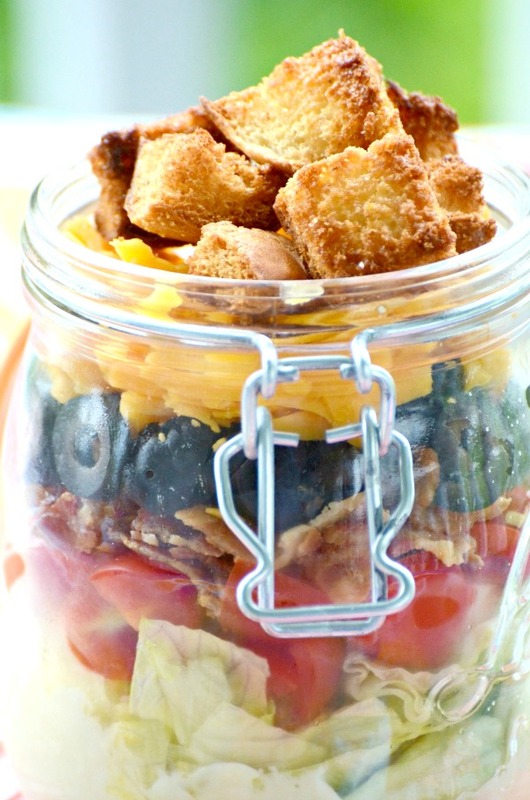 All they do is top it with homemade croutons. 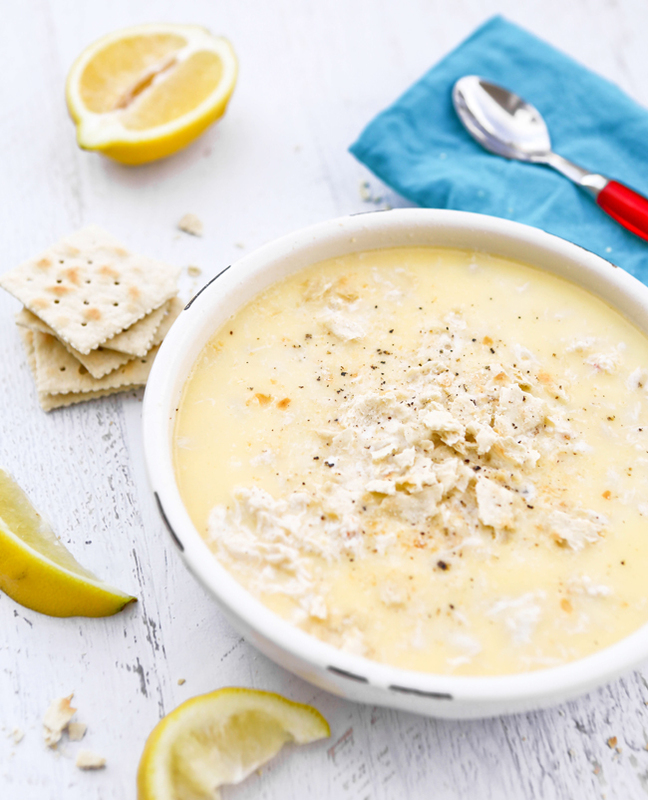 A gorgeous summer soup from Pip and Ebby! And look at the image below. You could just eat the picture below that Megan took! We LOVE LOVE LOVE this meatball recipe. My friend shared it with me and there is such a funny story behind it! A must read. She made these meatballs for me when I was still down and out from my last ankle operation. I can’t wait to thaw them and have them for dinner! They are absolutely THE best! HOPE YOU HAVE A YUMMY WEEK! 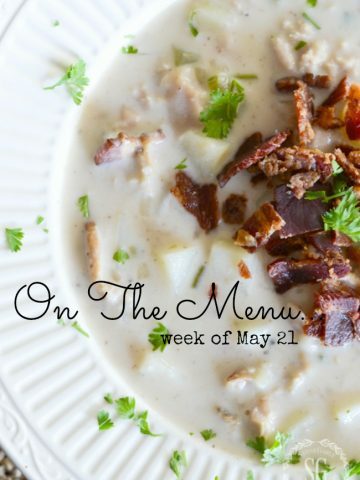 What’s on your menu this week? You might want to follow me on Pinterest and see what I’m finding to pin every day HERE. How did I miss the meatballs when you posted them the first time? Thankfully you shared them here; they sound delicious. Wait… Did I miss something? You had to have ANOTHER operation? What happened? 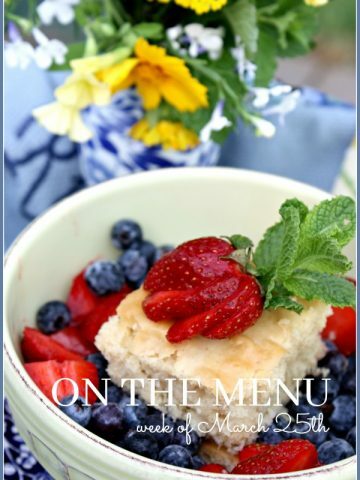 Oh my, these recipes look amazing. I cannot wait to try the meatballs and spaghetti. 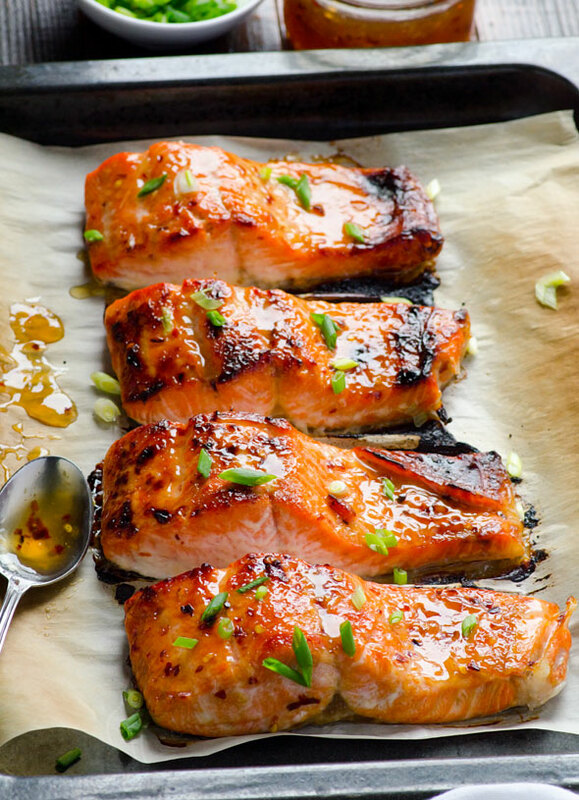 I have never cooked salmon, but this is one that I want to try. It looks so good and Olean’s site is very informative on what kind of salmon to buy and not buy. Thanks for sharing her site. I wish you a speedy recovery from this last surgery. You are a trouper…never stopping even after surgeries just amazes me! wedge salad.Wishing you a speedy recovery with the ankle. Good luck with the ankle Yvonne. I’ll be trying the salmon, meatballs and the eggplant. Can’t wait to taste them. Thanks! You always share the best recipes!!! I’m going to try the Grilled Flank Steak on Skewers. Looking forward to that new chicken recipe. Congratulations! My family is also waiting on a new grand baby. #4 for us. God bless you and your positive and optimistic attitude Yvonne. Your road to a good, strong ankle and been a long and laborious one. I am in awe that you have not mis-stepped once with your blogging endeavours. You shine, as does your daily offering to all of us. Do take gentle care and enjoy Sunday Family Dinner with your loves. These are making me so hungry! Can’t wait for the chicken Eugene recipe,too. This has been a long haul stay positive you are amazing ! Food looks delicious and presented so well. Can’t wait to try that rice recipe! 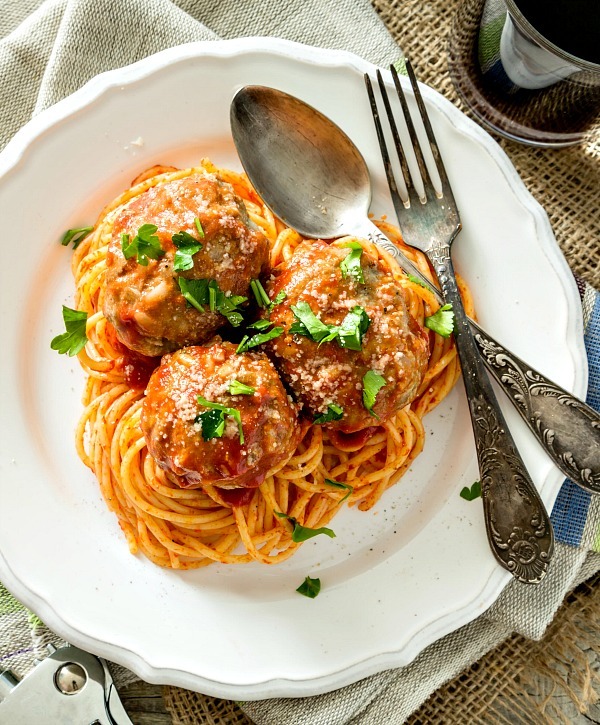 These recipes look absolutely scrumptious Yvonne, I can’t wait to try them my hubby will love the spaghetti and meatballs. We just returned from a cruise and we dined on baked salmon twice, so delicious and healthy, your spin on the Thai flavor sounds wonderful. Wishing you a speedy recovery from your recent surgery. Hope you soon can be up and feeling better. That ankle has been quite a process! Thanks for some more yummy sounding recipes! hope everything continues to improve with your ankle…take care! 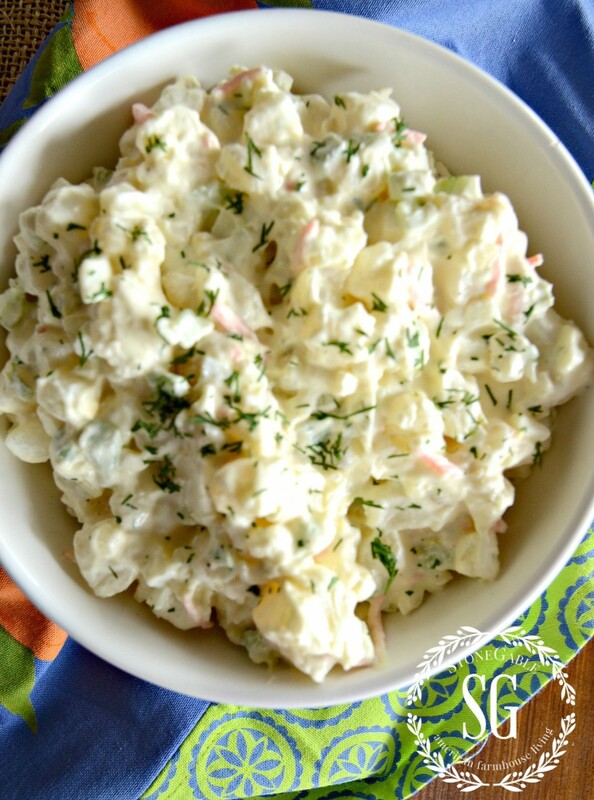 Delicious recipes …we’ve been thinking potato salad too! I can’t wait to try these. I have not been disappointed yet! OH my!! 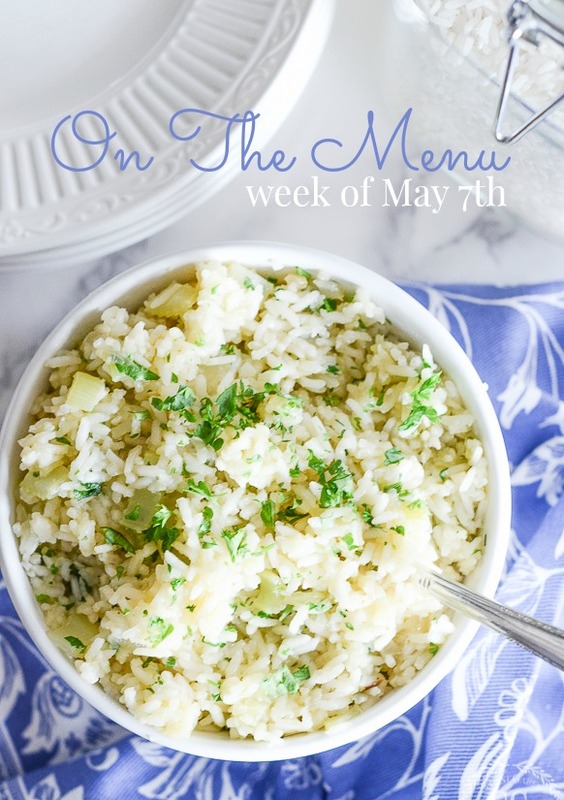 Even though my tummy is full as we just finished dinner, the menu this week sounds wonderful!! Looking forward to the chicken recipe! Those meatballs looks yummy. Hurry and get well ! 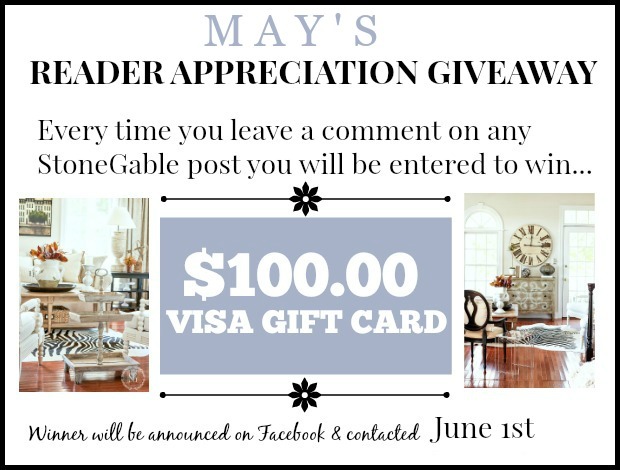 I am so excited, and eagerly anticipate that special chicken recipe you promise … Thanks in advance! Oh My!! Those meatballs are this Sunday’s dinner for sure!! Making in the crock-pot is a plus!!!! Hope that your ankle is better soon & wishing you a speedy recovery!! P.S. We’re expecting a granddaughter this month on May 30th! Congratulations Felicia! How wonderful to have a new little life in the family. I am going to try that salmon recipe. It sounds delicious! Take care – hope that that ankle will soon heal! Menu sounds delicious!